Following the popularity of the stunning Spirit P40 Coupé, Spirit Yachts CEO and head designer Sean McMillan has designed a landau version of the modern classic power boat. Here Sean discusses what prompted the design, how she differs from the P40 Coupé and who she will appeal to. What inspired you to design the new P40 Landau? We had a very successful summer showcasing the new P40 Coupé, which was developed as a pure ‘sport’ version of the existing P35 and P40 designs. Thus, with that experience it made sense to complete the range with a fully enclosed version accommodating four people in greater space and comfort. The P40 Landau is very similar to the P40 Coupé, how do the two designs differ? 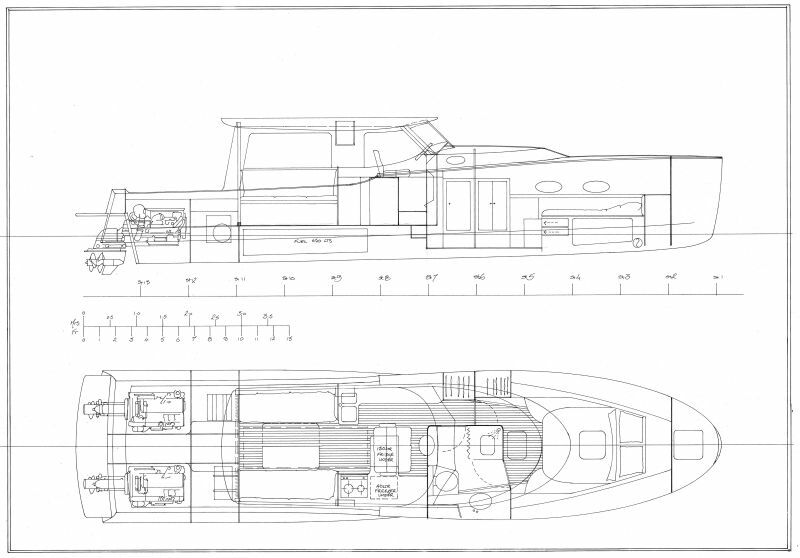 The P40 Coupé is flexible in her design and is based on the now well-proven P40 hull form. The Coupé is the ideal weekend cruiser for lazy days in secluded bays and exploring the Riviera, or she offers an option as an elegant sophisticated tender to a superyacht or chase boat. The P40 Landau however, is designed for year-round cruising for family and friends in all climates or more adventurous passages which require added protection from the elements. Who do you think the P40 Landau will appeal to? I think it is likely the design will appeal to an owner who perhaps has sailed before but no longer has the time or energy for a sailing yacht, but still loves to be out on the water in a beautiful boat, which is easy to handle and has the performance to excite them. What stage is the build process at and what are the next steps? The hull is almost completed with the second skin of veneers over the first layer of Douglas Fir planking almost completed. The interior ring frames are particularly beautifully made with elegant hanging knees between the frames and the deck beams – a real visual treat! The completed hull will be ready for roll-over within the next week ready for commencing the fit-out. This is the second of two Spirit motor boats in 2015, is power the direction Spirit is headed for the future? Modern classic sailing yachts will always be Spirit’s core business. 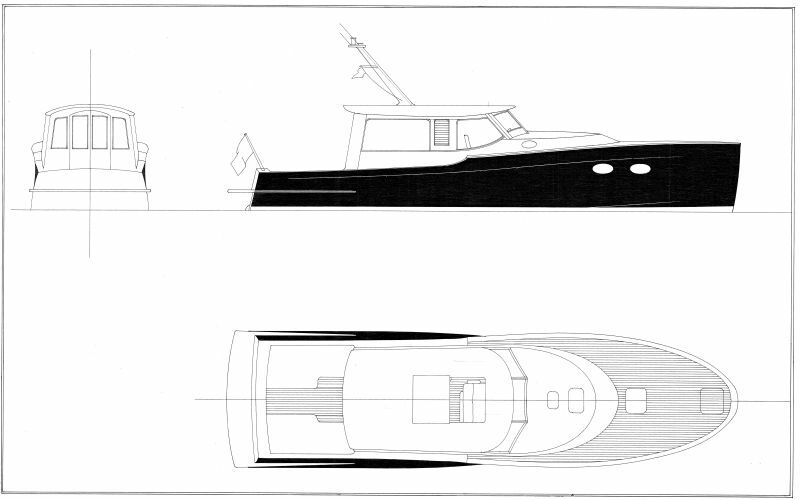 However, the growing interest in our power boat designs presents an exciting new avenue we cannot ignore. Our passion is modern classic, wooden, handcrafted yachts, which are aesthetically stunning and deliver ultimate performance, whether that be for sailing or motor cruising.